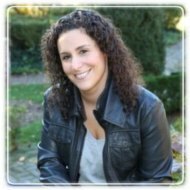 Syosset Therapist: Amy Rosenberg - Therapist 11791. Send A Message To Dr. Rosenberg. I am a licensed psychologist who provides individual, couples, family, and group psychotherapy for individuals across the adult lifespan, ranging from young adults to geriatrics. In my work, I focus on helping people who are grappling with varying complex issues. I place emphasis on establishing a safe and trusting therapeutic relationship in an effort to help facilitate meaningful life change, to ease suffering, and to work toward achieving individualized personal goals. Throughout the course of my career, I have found meaning in helping individuals adjusting to a variety of life challenges. My clinical training has provided me extensive opportunities to work with people of all ages, cultural backgrounds, sexual orientations, and religions. My interventions are uniquely tailored to meet the needs of each individual and to ensure comfort, safety, and trust wherein a person can grow. I realize that for many, taking that first step into the office of a psychologist can be a difficult and scary one. I view my job as making that transition as painless as possible while working toward creating a safe space for each and every person I work with. I have been told that my approach is honest and direct while nurturing and supportive. I am passionate about my work and those with whom I work. I have dedicated my career to helping others and take pride in helping someone to achieve success and personal growth. In particular, I have spent a great deal of time working within the following areas: LGBTQ issues, Relationship issues/Premarital and marital problems/Divorce/Separation, Acute or chronic illness/End-of-life issues, Grief/Bereavement, Teenagers experiencing parental divorce, Depression, Anxiety, Job Loss/Work related stressors, and Women's Issues (Post/perinatal depression, infertility). I utilize an eclectic approach tailored for each unique individual's needs, focusing on treatment modalities shown by research to be most effective. I am dedicated to creating a warm and caring atmosphere wherein positive life changes can be achieved and a healthier lifestyle can be established.